Lunar Poker is the best game ever, and if you’re lucky enough to have a game near you, contact me. Currently, in the US, you can find the game at Pechanga Casino in Temeuca, CA. I have no idea where else the game is available, but it is a good game. You should definitely request it at your local casino. Fill out a suggestion form, or drop an e-mail (check your casino’s contact info) to request the game. The US publisher for the game is either Mara Enterprises or TCS John Huxley, I’m not sure. All I know is you want one of these games near you. I’ve previously posted a simple basic strategy that yields about a 1.4% house edge. I’ll walk through the strategy, and provide some numbers behind the decisions. This will help you understand why you should stand pat with some hands, and why you should draw cards on others. 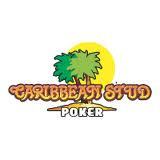 Lunar Poker is based on Caribbean Stud, where you Ante one unit, and the player and dealer each receive five cards. The dealer exposes one his hole cards. In Caribbean Stud Poker, you either 2x Raise or Fold. Then, the dealer turns up his hand, and only pays the Ante if he doesn’t qualify; otherwise he also pays the 2x Raise according to the paytable. In Lunar Poker, you have many options, starting with your decision to either (A) stand pat with your hand, or (B) Buy a 6th card for a fee of one Ante, or (C) Exchange 2 to 5 of your cards from the deck, for a fee of one Ante. In Lunar Poker, you’re paid for up to two items from the paytable. That means if you have a pair and AK, you get 1:1 + 1:1 = 2:1 on your 2x Raise. If you have a flush and a pair, you get paid 5:1 + 1:1 = 6:1 on your 2x Raise. Also, if you have a straight with a pair, they’ll pay you “for two straights”, any you receive 4:1 + 4:1 = 8:1 on your 2x Raise. Consult my full basic strategy on how to play the Buy and Exchange options. But for most cases, the strategy can be boiled down to the following. Improve a made hand (straight or better) with a 6th card to get a 2nd payout. Draw a 6th card to make a straight* or flush. Hold your under pair (draw 3) against a higher dealer upcard. Hold 2 or more Royal cards above the dealer upcard. Hold your AK and draw 3. 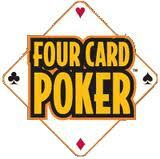 Hold 3 or more straight flush cards above the dealer upcard. Hold your high card (draw 4) against a lower dealer upcard. *open-ended straight draw, or gutshot draw with a qualifying hand. Always stand pat on two pairs. Stand pat on a pair higher than the dealer upcard. Stand pat with a pair and AK (in most cases). Fold your high-card against a higher or equal dealer upcard. Never exchange all 5 cards. Of course, this is not how people normally play. People tend to pay for any draw, because they either don’t want to fold, or they want to make a big hand (turn every pair into quads). so it’s a 16% mistake to draw in this case. So it’s better by about 15% in this case to pay for the exchange than it is to stand pat with the 6’s. so it’s basically a 20% mistake to Buy a 6th card with two pairs. I just tell them the “book” says to stand pat with two pairs. I say I just play by the book. That actually calms them down. Sometimes they ask, “There’s a book for this game?” I tell them it’s on the internet. So while a high card is pretty weak against a similar (but lower) dealer upcard, it gets better by about 10% against a low card. It’s still a loser, but it’s better than folding. Holding AK is much stronger than holding a single high card, because if you pair up, you have a 2:1 paying hand (1:1 for AK + 1:1 for pair). If you don’t pair up, you should only play AK if you copied the dealer upcard twice. If you copied the dealer upcard once, play AK+kicker (AKJ83 or better). If you haven’t copied the dealer upcard at all, fold your AK. A lot of people will pay for a 6th card with a junk hand containing a gutshot straight draw. You should only pay for a 6th card with a qualifying hand (AK) with a gutshot draw against a qualifying upcard (A or K). The examples below illustrate this point. The final example shows you can draw with a non-qualifying hand to a gutshot that pays two straights (8:1). Note in the last two cases, the value of a draw is worth more against a qualifying upcard (Ace or King). This is because if you make a hand, the chances of the dealer qualifying is higher vs an Ace or King upcard than a Queen or lower. Insurance usually isn’t a good bet EV-wise, but it’s not a bad idea to guarantee some of your win. I always say, “If I have a Royal Flush, I’ll take some insurance.” Of course, insurance is +EV when you’re holding 2 or more copies of the dealer upcard, Queen or lower. Also, if you’re playing with other people, insurance is +EV whenever the players hold 3 or more copies of the dealer upcard. The fun part of this game is that you can win both your insurance bet, and your 2x Raise payout, when you successfully force the dealer to qualify. Pechanga lets you take insurance up to your total possible win, so you can win 2x your normal payout in the best case scenario. This is another option that players over-use, even though it is very costly. The don’t understand that they’re sacrificing their Ante payout when forcing. And the dealers all tell them to Force the hand, for some reason. You should never force the Dealer for a potential 3:1 payout. Even for a 4:1 potential payout, you should make sure that you’re not holding 2 or more of the Dealer pair outs. So you can see that Forcing a 3:1 payout is a big mistake (30-40%) compared to taking your Ante win (+1.0). You need some patience to play Lunar Poker. There are a lot of hands where the Dealer doesn’t qualify when you’re holding a 2:1 payout or better. Sometimes the game plays pretty even, but often I find myself behind by 20 or more Antes. Finally, I’ll hit a good hand like two straights (8:1) that pays 16 Antes, or even quads (20:1) that pays 40 Antes. But the game is fun, because you get to make some skilled decisions. Also, if there’s another player at the table, you can get the house edge down considerably (it’s +EV @ +0.4% with very simple modifications to basic strategy). Get this game placed in your local casino! i’ll have to try this game again. Pechanga used to have 2 tables, now they only have one. All the dealers I have talked to say the game may not last…at least they don’t want it to last. It stays pretty empty every time I look at it from the UTH tables. I usually only go during the day on weekdays, so it may be a different story on the weekends or evenings. I’ll see if I can pry myself away from UTH one of these days to give this game another shot. They have one near where I live (casino name to be sent via private e-mail) and very few people plays it because the rules are so difficult or confusing. Too many decisions. Blackjack, in comparision, is mostly hit or stand with split, double down or an occasional DAS or late surrender thrown in. Also, why have this game when BJ Switch is so much easier to play and understood by the Yahoo’s. I want to try this game. Let me know if you plan a trip in a month or so. I still have yet to visit Pechanga. They will probably keep the table another few months to try to get business on it. The game rocks, it’s really good playing with a few friends. You have to be disciplined, and not spend money on options at the wrong time. I’m going to distribute the “bonus” strategy to keep interest in the game going. People tend to join the game when they see other people playing. They all love the game once they learn how to play. It’s a “cheap” game at $5 Antes, but you should play higher with the correct strategy. If you can email the strategy. I would like to study it before I go. what are the table max bets? would you be interested in forming a corporation/team betting the max? would it be worthwhile? You should leave questions like this private. If there is an opportunity, then publicly discussing it will only serve to ruin it. In the draw decision for 1 player, on the “AK” table, you write to “Hold AKs and royal cards higher than dealer upcard, else” in the fourth row. So, is this some private case which is not important enough to have its own row on the basic strategy? I love this post.. Is it possible to get the bonus strategy by email?